- 01 night accommodation at hotel in Luxor on bed and breakfast basis. - 02 night accommodation at hotel in Hurghada on bed and breakfast basis. transportation by deluxe A/C coaches. - Qualified English speaking guide. - Train tickets ; Cairo / Aswan on Sleeper wagon. - Private transfer ; Luxor/ Hurghada by A/C van. 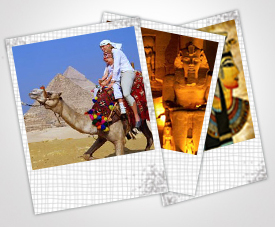 - Bus tickets : Hurghada / Cairo on A/C Pullman. Private full day City tour including ; Citadel of Salah-el-Din and Mohamed Ali Mosque (the Alabaster Mosque)- Old Cairo Churches & Synagogue. Evening board on Sleeper wagon trains to Aswan. Early morning transfer to visit the two temples of Abu Simbel by A/C private bus. 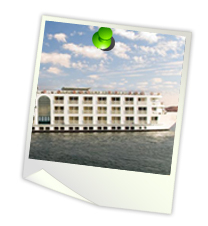 Proceed back to Aswan - arrive early afternoon & transfer to board on Nile cruise. visit : High Dam & Phyla temple - overnight on board. In Hurghada / morning free on Beach. Morning transfer by A/C private bus to Alexandria & visit ; Kata Kom El Shougafa - Great library of Alexandria & Montazah garden palace of the last king. Proceed back to Cairo - arrive - transfer to hotel - overnight.